See scan - perfect condition. This is a nice modern Italian 1982 bronze medal. Obverse shows an eagle head and text BATT. PIEVE DI TECO and obverse has the text Nazionale Alpini and Genova 24-10-1982. 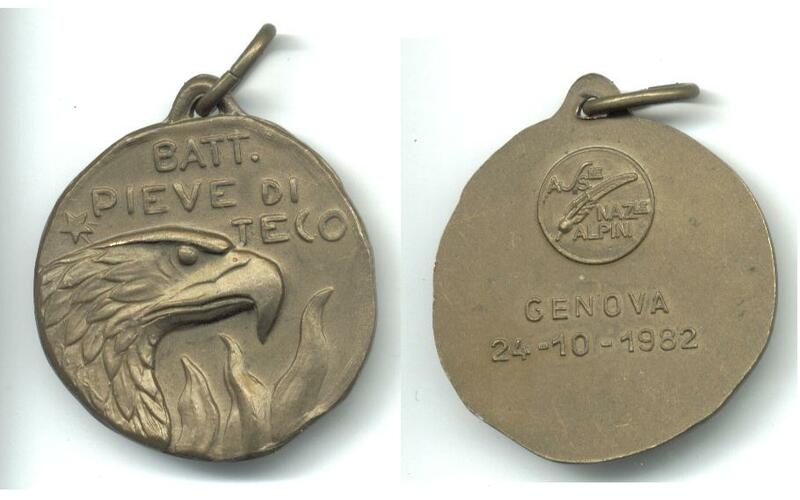 Nice militaria collector piece and one of the nice Italian medals.